We reviewed all available literature published in Pubmed till March 2011 that addressed the anesthetic management of TAVI. 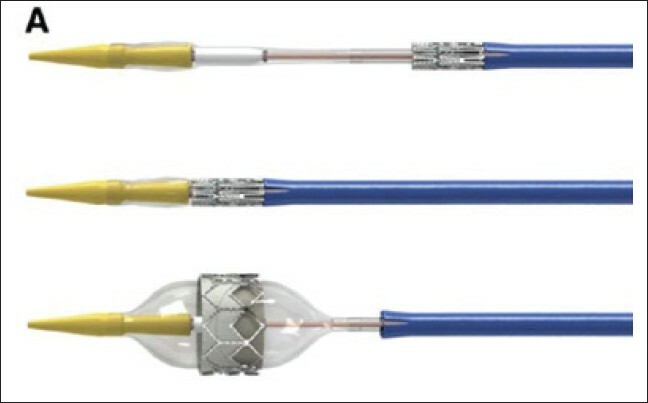 Two devices are currently available and marketed in Europe: the balloon-expandable Edwards SAPIEN valve, based on Cribier's design (Edwards SAPIEN, Edwards Lifesciences, Irvine, CA, USA) [Figure 1] and the self-expanding CoreValve ReValving System (CoreValve ReValving Technology Medtronic Inc., Minneapolis, MN, USA) [Figure 2]. Several other technologies are being developed and have entered or are expected to enter an active phase of clinical testing in the near future. Implantation of both the Edwards SAPIEN and the CoreValve is usually performed with the transfemoral approach, which requires a transfemoral artery access, negotiation of femoral, iliac and aortic vasculature, retrograde crossing of the aortic valve and retrograde valve deployment within the native aortic valve. 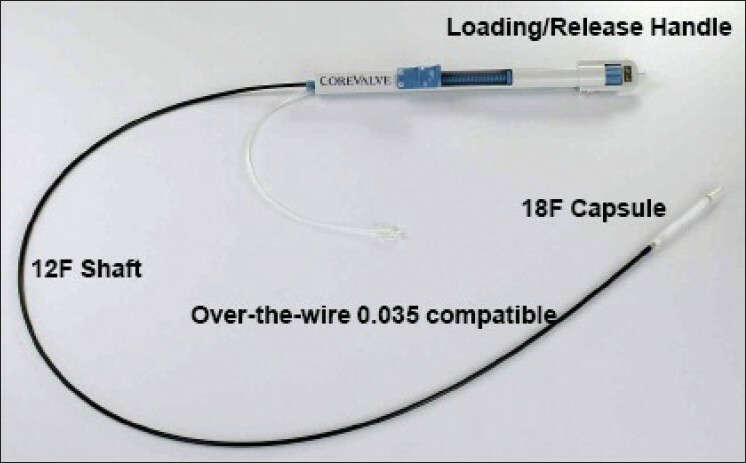 Deployment may be performed by a balloon inflation under rapid ventricular pacing (RVP) (Edwards SAPIEN) [Figure 3] or slowly retracting the outer sheath without RVP (CoreValve) [Figure 4]. Despite progressive miniaturization of the sheaths of both devices, the transfemoral approach may not be feasible in patients with significant aortic or ileo-femoral arterial disease. The transaxillary approach (Tax-TAVI) is feasible with the CoreValve, and is usually performed via surgical isolation and direct puncture of the left axillary artery. [8,9] The presence of a patent left internal mammary artery (LIMA) graft is a relative contraindication to the use of this approach because of the risk of occlusion or dissection. In the TA-TAVI, access to the left ventricular cavity is typically obtained through a small anterolateral thoracotomy. , The risk of lung injury, pneumothorax or pleural bleeding associated with the TA seems low. Chest wall discomfort and potential for respiratory compromise and prolonged ventilation are a major concern, especially in patients with severe respiratory dysfunction. Postprocedural low-grade bleeding might result in cardiac tamponade and may require further repair, whereas management of large tears might require institution of CBP. The theoretical lower risk of stroke (less manipulation in the aortic arch in comparison with the transfemoral approach) has not been a universal finding. A complementary approach using both CE-approved devices and alternative routes tailored to the anatomy and the comorbidities of the single patient is a main component for the successful implementation of a TAVI program. , Alternatives to transfemoral access include open surgical access to the retroperitoneal iliac artery and the ascending aorta. The continued efforts to downsize devices will further enhance suitability for TAVI while reducing the risk of periprocedural complications [Table 1]. Risk assessment is important as the current indication is restricted to high surgical risk or nonoperable patients. Appropriate patient selection and screening is crucial for success and for avoiding complications. The best characterization of individual risk should be a combination of objective quantitative predictive models (Europen System for Cardiac Operative Risk Evaluation [EuroSCORE] and the Society of Thoracic Surgeon [STS]) and subjective assessment by experienced surgeons, cardiologists and anesthesiologists. , Patients are excluded if a reasonable quality or duration of life (>1 year) is considered unlikely because of comorbidities. Besides comorbidities, older age "per se0" raises several anesthetic concerns related to the major frailty. Patient's preference for a percutaneous approach cannot be considered an indication for TAVI when the surgery is an option. Although specific guidelines about antiplatelet therapy are not still available for TAVI, the common practice is to administer a loading dose of asprin ranging from 300 mg to 325 mg and clopidrogel 300 mg before the procedure. In the postoperative period, the dual antiplatelet therapy is continued at a daily dose of 75-100 mg of aspirin and clopidrogel 75 mg for 6 months consecutively. However, several instituitions differ from this policy. To minimize the risk for renal impairment, a correct preprocedural hydration and N-acetylcysteine can be administered the day before the TAVI. The antihypertension drugs, including angiotensin-converting enzyme inhibitors, should be administrated until the day of the procedure. On the contrary, the antiarrythmic drugs should be discontinued. Careful evaluation of the iliofemoral vessels by angiography and high-quality computed tomography (CT) is indispensable as vascular injury is the most common cause of morbidity and mortality in these procedures. The relation among the annulus, plaque in the left coronary leaflet and the distance to the left coronary ostium is crucial. Anesthesia techniques for TAVI may vary according to patient's characteristics, coexisting diseases and procedural instances. The aim of the anesthesiologist should be to provide less-invasive anesthesia/analgesia without compromising the safety or comfort of the patient. Local anesthesia plus sedation is a reliable alternative to general anesthesia. General anesthesia is associated with good hemodynamic stability, cardioprotective properties, adequate attenuation of stress response and early awakening. Airway management is usually performed by endotracheal intubation. General anesthesia facilitates positioning of the valve prosthesis by maintaining patient immobility and neuromuscular paralysis allows the anesthesiologist to control respiratory motion. General anesthesia may be more favorable when the patient is unable to tolerate the operation secondary to fatigue or having to maintain the same position through the entire procedure. Second, general anesthesia facilitates introducer sheath placement and removal and eventual surgical repair of arterial access sites, which can be potentially complicated and prolonged. Third, it allows the use of TEE and facilitates management of procedural complications. On the other hand, general anesthesia is associated with potential respiratory complications. However, the use of general anesthesia is closely related to the operator's learning curve. A possible protocol for the local anesthesia plus sedation consists of lidocaine injected subcutaneously at the arterial and venous access sites (maximum dose 4 mg/kg), with sedation accomplished with remifentanil infusion adjusted according to the patient's response (target level: score 2-3 with modified Wilson sedation scale; starting dose 0.025 μg/kg/min, maximum dose 0.2 μg/kg/min). Combined use of remifentanil and propofol (dose 2-5 mg/kg/h) may be used. However, the invasiveness of the procedure and the difficult to achieve a stable hemodynamic are the major limitations to the widespread use of sedation. The passage of relatively large and stiff deployment catheters through the arteries is well tolerated with local anesthesia. A preoperative ilioinguinal/iliohypogastric block can be performed to reduce the total dose of infiltration local anesthetics in patients with reduced metabolic capacity, at increased risk for neurologic and cardiac toxicity. If local anesthesia plus sedation is employed, the anesthesiologist must be ready to institute full general anesthesia at any moment. Patients with anticipated difficult airway are obviously unsuitable for this technique. With TA-TAVI, the general anesthesia is mandatory. However, Mukherjee et al. have recently suggested the use of thoracic epidural anesthesia. Epidural anesthesia presents three major advantages: (1) the avoidance of intubation, (2) a good postoperative analgesia and (3) the chance to perform a fast-track. On the other hand, epidural anesthesia carries its own set of problems. In fact, hypotension may lead to myocardial ischemia. A second concern is the intraoperative use of heparin and the postoperative use of dual antiplatelet drugs. While RVP is advantageous for valve positioning, the combination of rapid heart rate, myocardial hypertrophy and low coronary perfusion pressure produces an ischemic deficit in the myocardium. In most cases, this ischemic deficit is well tolerated, most likely because of the brief duration of the RVP (12 s on average). However, it is prudent to minimize the number and duration of rapid pacing episodes during the procedure, and allow hemodynamic recovery before further pacing. A bolus dose of a vasopressor, such as etilephrine administered just prior or immediately after the rapid pacing episode, will allow coronary perfusion pressure to be regained sooner. ,, If the blood pressure does not recover promptly after an episode of RVP, myocardial ischemia must be suspected. The ischemic insult is usually caused by pacing, but coronary artery embolism from disruption of the calcified native aortic valve or obstruction of one or both coronary ostia by the prosthetic valve or the displaced native valve leaflets must be considered. Treatment of postpacing myocardial ischemia is initially based on the restoration of coronary perfusion pressure through the use of vasopressor agents. In case of ischemia-induced ventricular fibrillation during valve deployment, consideration should be given to complete valve deployment before electrical cardioversion thus avoiding prosthesis malpositioning or embolization when sinus rhythm is restored. If the hemodynamic status fails to improve and the valve has not yet been deployed, the deployment of the prosthesis is the next step in management. The main benefit of valve deployment is that it reduces left ventricular afterload, ventricular wall tension and myocardial oxygen demand as well as improving cardiac output. Percutaneous aortic valve implantation with the CoreValve prosthesis results in a high incidence of total atrioventricular (AV) block requiring permanent pacemaker implantation and new-onset left bundle branch block. Preexisting disturbance of cardiac conduction and a narrow left ventricular outflow tract predict the need for permanent pacing, while the only factor shown to be predictive for new-onset left bundle branch block is the depth of prosthesis implantation. No significant recovery of an intra- or periprocedural AV block is reported. Therefore, pacemaker (PM) implantation immediately after occurrence within the first 24-48 h is frequently employed. The conduction tissue impairment is provoked by mechanical compression with large prostheses in smaller annuli or in the larger area of the CoreValve covering the outflow tract. 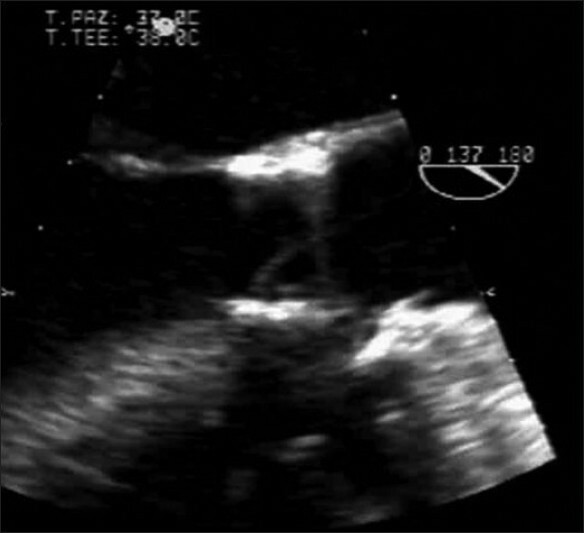 The AVA trioventricular block can appear suddenly during the implantation procedure or later during the postoperative period. In fact, a continuous postoperative electrocardiogram monitoring should be performed for at least 3 days in all patients after TAVI procedures and until discharge in patients with increased risk for this complication. The need of PM is four-times higher in the CoreValve implantation compared with the Edward Sapient implantation. To prevent periprocedural AV block during TF-AVI or Tax-TAVI, the transvenous pacemaker should be placed in the jugular or femoral vein, while during TA-TAVI, direct epicardial electrodes are placed. Because arrhythmias, especially AV block, may occur after the procedure, several centers maintain transvenous pacing in the intensive care unit. Except for premature stopping of rapid pacing during valve deployment, valve embolization has mostly surgical reasons, such as not completely inflating the balloon, too aggressive predilation and possible undersizing of bioprosthesis (annulus too large) or an excessive force applied too close to the balloon during deployment. If bioprosthesis embolizes and there is inability to reposition it in the correct location, additional expansion of the balloon, enough to grab and reposition in stable location, preferably the descending aorta, is requested. In the event of ventricular embolization and inability to correct valve position, conversion to open heart surgery is the only chance. Cardiac tamponade causing cardiovascular collapse may result from perforation of the right ventricle during the pacing wire placement and aortic or left ventricular perforation by guidewires or catheters. Wrong aortic annulus sizing may lead to annular rupture during valve deployment with catastrophic consequences. If tamponade occurs, it is easily detected by an associated increase in central venous pressure, visualization of the pericardial fluid and right-sided collapse on TEE and abnormal movement of the heart on fluoroscopy. The management may consist of percutaneous needle drainage of the pericardial blood or surgical intervention. Almost 4.5% of the patients undergoing TAVI suffer a major neurological event such as stroke. Notably, the occurrence of intraprocedure major stroke is generally fatal and strictly associated with an increased mortality. Ghanem et al. observed in patients undergoing transfemoral aortic valve implantation that permanent neurological events are relatively rare (3.6%) compared with the rate of clinically silent embolism (73%) assessed by cerebral diffusion-weighted magnetic resonance imaging (DW-MRI). These data are confirmed by Arnold et al. in a cohort of 25 patients scheduled for transapical aortic valve implantation. The cerebral hypoperfusion and the cerebral embolization look to be involved in the postoperative neurological dysfunction. 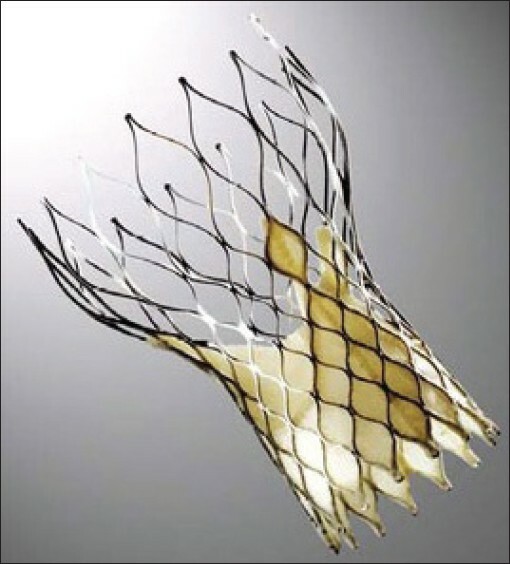 In conclusion, the only approaches able to significantly reduce the embolic risk include preprocedural screening for friable aortic atheroma, more attention to a gentle passage of catheters through the aortic arch, the use of embolic protection devices and, finally, the use of a lower profile with less-traumatic transarterial catheters. At the moment, an attempt to deliver anesthesia that is compatible with enhanced recovery is made in most patients. The poor left ventricle function is not an absolute contraindication to fast track if the hemodynamic stability is maintained during the procedure. Postoperative pain has been easily managed with nonsteroidal agents/paracetamol and low dose of opioids. According to each center organization, after a brief time in the recovery room, an early transfer to an intermediate care unit provided with bedside telemetry could be a suitable alternative strategy in selected patients with an uneventful operative course. After valve implantation, an immediate improvement of systolic and diastolic function is frequently observed due to afterload lowering, allowing reduction and discontinuation of inotropic drugs given during the procedure. Continuous postoperative electrocardiogram monitoring should be performed for at least 48 h in all patients after TAVI procedures because of the potential for new onset of rhythm disturbances. Temporary pacemaker is usually left to prevent cardiac arrest in all patients with AV block. Pressure control must be frequent and precise. In conclusion, TAVI is a novel technique developed to deal with an increasing risk profile of patients with aortic stenosis. The technique has been proven to be feasible in selected high-risk patients, representing a unique challenge for the anestesiologist involved in the care of these patients. 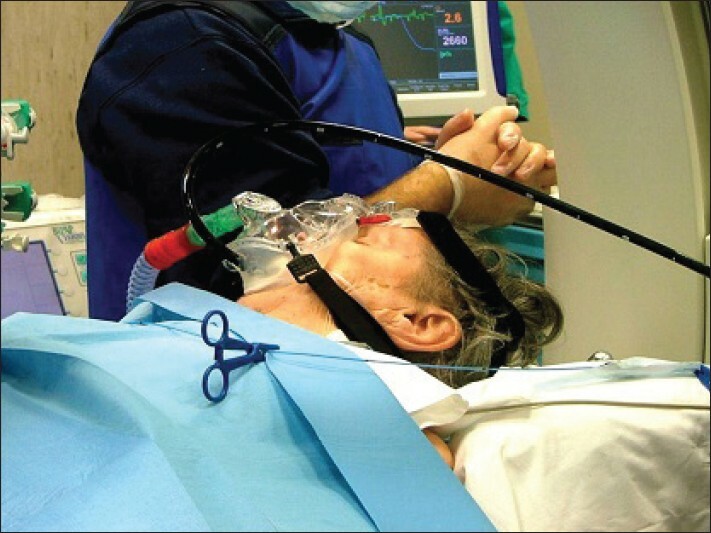 Anesthesiologists must be aware of current technology, playing a participative role in developing standards of care for these high-risk patients and supporting the continuous refinement toward a more minimally invasive approach. 1. Iung B, Baron G, Butchart EG, Delahaye F, Gohlke-Barwolf C, Levang OW, et al. A prospective survey of patients with valvular heart disease in Europe: The Euro Heart Survey on Valvular Heart Disease. Eur Heart J 2003;24:1231-43. 2. Bonow RO, Carabello BA, Kanu C, de Leon AC Jr, Faxon DP, Freed MD, et al. ACC/AHA 2006 guidelines for the management of patients with valvular heart disease: a report of the American College of Cardiology/American Heart Association Task Force on Practice Guidelines (writing committee to revise the 1998 Guidelines for the Management of Patients With Valvular Heart Disease): developed in collaboration with the Society of Cardiovascular Anesthesiologists: endorsed by the Society for Cardiovascular Angiography and Interventions and the Society of Thoracic Surgeons. Circulation 2006;114: e84-231. 3. Leon MB, Smith CR, Mack M, Miller DC, Moses JW, Svensson LG, et al. Transcatheter aortic-valve implantation for aortic stenosis in patients who cannot undergo surgery. N Engl J Med 2010;363:1597-607. 4. Lieberman EB, Bashore TM, Hermiller JB, Wilson JS, Pieper KS, Keeler GP et al. 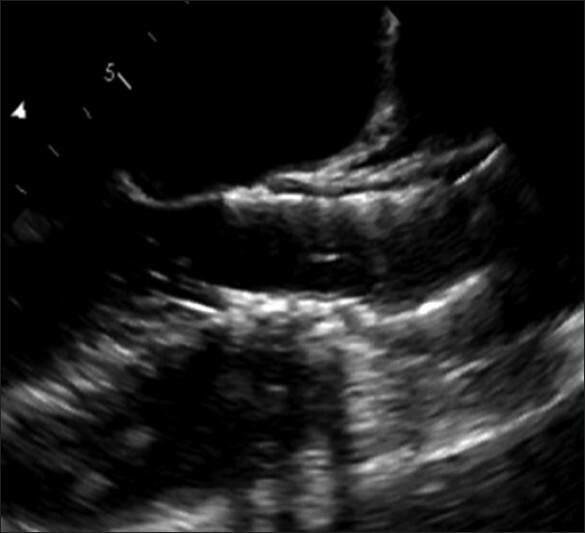 Balloon aortic valvuloplasty in adults: failure of procedure to improve long-term survival. J Am Coll Cardiol 1995;26:1522-8. 5. Otto CM, Mickel MC, Kennedy JW, Alderman EL, Bashore TM, Block PC, et al. Three-year outcome after balloon aortic valvuloplasty. Insights into prognosis of valvular aortic stenosis. Circulation 1994;89:642-50. 6. Leon MB, Kodali S, Williams M, Oz M, Smith C, Stewart A, et al. Transcatheter aortic valve replacement in patients with critical aortic stenosis: rationale, device descriptions, early clinical experiences, and perspectives. Semin Thorac Cardiovasc Surg 2006;18:165-74. 7. Vahanian A, Alfieri O, Al-Attar N, Antunes M, Bax J, Cormier B, et al. Transcatheter valve implantation for patients with aortic stenosis: a position statement from the European association of cardio-thoracic surgery (EACTS) and the European Society of Cardiology (ESC), in collaboration with the European Association of Percutaneous Cardiovascular Interventions (EAPCI). EuroIntervention 2008;4:193-9. 8. Moynagh AM, Scott DJ, Baumbach A, Khavandi A, Brecker SJ, Laborde JC, et al. CoreValve transcatheter aortic valve implantation via the subclavian artery: comparison with the transfemoral approach. J Am Coll Cardiol 2011;57:634-5. 9. Petronio AS, De Carlo M, Bedogni F, Marzocchi A, Klugmann S, Maisano F, et al. Safety and efficacy of the subclavian approach for transcatheter aortic valve implantation with the CoreValve revalving system. Circ Cardiovasc Interv 2010;3:359-66. 10. Johansson M, Nozohoor S, Kimblad PO, Harnek J, Olivecrona GK, Sjogren J. Transapical versus transfemoral aortic valve implantation: a comparison of survival and safety. Ann Thorac Surg 2011;91:57-63. 11. Taramasso M, Maisano F, Cioni M, Denti P, Godino C, Montorfano M, et al. Trans-apical and trans-axillary percutaneous aortic valve implantation as alternatives to the femoral route: short- and middle-term results. Eur J Cardiothorac Surg 2011;40:49-55. 12. Godino C, Maisano F, Montorfano M, Latib A, Chieffo A, Michev I, et al. Outcomes after transcatheter aortic valve implantation with both Edwards-SAPIEN and CoreValve devices in a single center: the Milan experience. JACC Cardiovasc Interv 2010;3:1110-21. 13. Jilaihawi H, Bonan R, Asgar A, Ibrahim R, Spyt T, Chin D, et al. Anatomic suitability for present and next generation transcatheter aortic valve prostheses: evidence for a complementary multidevice approach to treatment. JACC Cardiovasc Interv 2010;3:859-66. 14. Latsios G, Gerckens U, Grube E. Transaortic transcatheter aortic valve implantation: a novel approach for the truly "no-access option" patients. Catheter Cardiovasc Interv 2010;75:1129-36. 15. Nashef SA, Roques F, Hammill BG, Peterson ED, Michel P, Grover FL, et al. Validation of European System for Cardiac Operative Risk Evaluation (EuroSCORE) in North American cardiac surgery. Eur J Cardiothorac Surg 2002;22:101-5. 16. Shroyer AL, Coombs LP, Peterson ED, Eiken MC, DeLong ER, Chen A, et al. The Society of Thoracic Surgeons: 30-day operative mortality and morbidity risk models. Ann Thorac Surg 2003;75:1856-64; discussion 1864-5. 17. Marcheix B, Lamarche Y, Berry C, Asgar A, Laborde JC, Basmadjian A, et al. Surgical aspects of endovascular retrograde implantation of the aortic CoreValve bioprosthesis in high-risk older patients with severe symptomatic aortic stenosis. J Thorac Cardiovasc Surg 2007;134:1150-6. 18. Braithwaite S, Kluin J, Buhre WF, de Waal EE. Anaesthesia in the cardiac catheterization laboratory. Curr Opin Anaesthesiol 2010;23:507-12. 19. Shook DC, Gross W. Offsite anesthesiology in the cardiac catheterization lab. Curr Opin Anaesthesiol 2007;20:352-8. 20. Covello RD, Ruggeri L, Landoni G, Guarracino F, Bignami E, Gonfalini M, et al. Transcatheter implantation of an aortic valve: anesthesiological management. Minerva Anestesiol 2010;76:100-8. 21. Guarracino F, Cabrini L, Baldassarri R, Cariello C, Covello RD, Landoni G, et al. Non-invasive ventilation-aided transoesophageal echocardiography in high-risk patients: a pilot study. Eur J Echocardiogr 2010;11:554-6. 22. Bagur R, Rodés-Cabau J, Doyle D, De Larochellière R, Villeneuve J, Lemieux J, et al. Usefulness of TEE as the primary imaging technique to guide transcatheter transapical aortic valve implantation. JACC Cardiovasc Imaging 2011;4:115-24. 23. Ferrari E, Sulzer C, Marcucci C, Rizzo E, Tozzi P, von Segesser LK. Transapical aortic valve implantation without angiography: proof of concept. Ann Thorac Surg 2010;89:1925-32. 24. Christ M, Sharkova Y, Geldner G, Maisch B. Preoperative and perioperative care for patients with suspected or established aortic stenosis facing noncardiac surgery. Chest 2005;128:2944-53. 25. Webb JG, Pasupati S, Achtem L, Thompson CR. 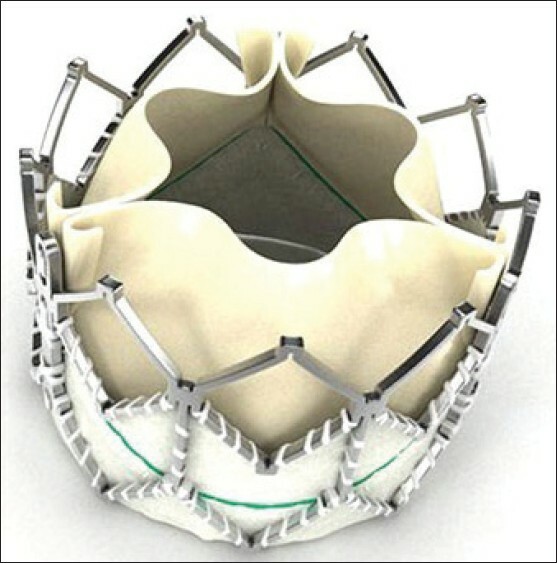 Rapid pacing to facilitate transcatheter prosthetic heart valve implantation. Catheter Cardiovasc Interv 2006;68:199-204. 26. Billings FT 4th, Kodali SK, Shanewise JS. Transcatheter aortic valve implantation: anesthetic considerations. Anesth Analg 2009;108:1453-62. 27. Cheung A, Ree R. Transcatheter aortic valve replacement. Anesthesiol Clin 2008;26:465-79. 28. Aitkenhead AR. Injuries associated with anaesthesia. A global perspective. Br J Anaesth 2005;95:95-109. 29. Nemethy M, Paroli L, Williams-Russo PG, Blanck TJ. Assessing sedation with regional anesthesia: inter-rater agreement on a modified Wilson sedation scale. Anesth Analg 2002;94:723-8. 30. Behan M, Haworth P, Hutchinson N, Trivedi U, Laborde JC, Hildick-Smith D. Percutaneous aortic valve implants under sedation: our initial experience. Catheter Cardiovasc Interv 2008;72:1012-5. 31. Mukherjee C, Walther T, Borger MA, Kempfert J, Schuler G, Mohr FW, et al. Awake transapical aortic valve implantation using thoracic epidural anesthesia. Ann Thorac Surg 2009;88:992-4. 32. Fassl J, Walther T, Groesdonk HV, Kempfert J, Borger MA, Scholz M, et al. 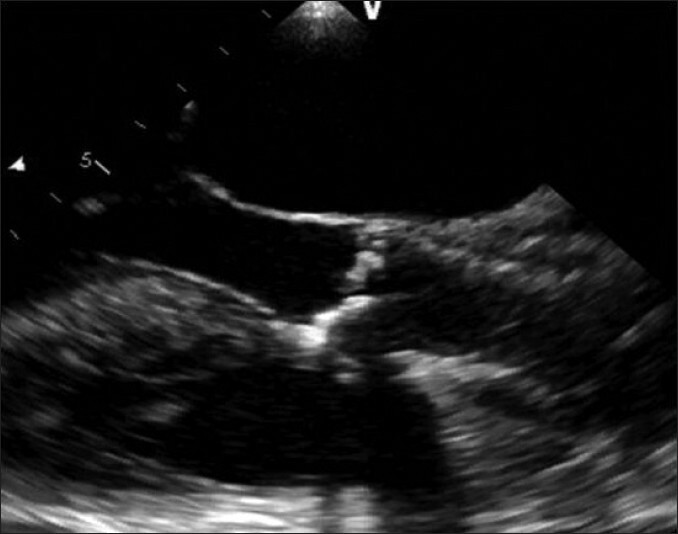 Anesthesia management for transapical transcatheter aortic valve implantation: a case series. J Cardiothorac Vasc Anesth 2009;23:286-91. 33. Masson JB, Kovac J, Schuler G, Ye J, Cheung A, Kapadia S, et al. Transcatheter aortic valve implantation: review of the nature, management, and avoidance of procedural complications. JACC Cardiovasc Interv 2009;2:811-20. 34. Tchetche D, Dumonteil N, Sauguet A, Descoutures F, Luz A, Garcia O, et al. Thirty-day outcome and vascular complications after transarterial aortic valve implantation using both Edwards Sapien and Medtronic CoreValve bioprostheses in a mixed population. EuroIntervention 2010;5:659-65. 35. Bleiziffer S, Piazza N, Mazzitelli D, Opitz A, Bauernschmitt R, Lange R. Apical-access-related complications associated with trans-catheter aortic valve implantation. Eur J Cardiothorac Surg 2011;40:469-74. 36. Bleiziffer S, Ruge H, Hörer J, Hutter A, Geisbüsch S, Brockmann G, et al. Predictors for new-onset complete heart block after transcatheter aortic valve implantation. JACC Cardiovasc Interv 2010;3:524-30. 37. Koos R, Mahnken AH, Dohmen G, Brehmer K, Gunther RW, Autschbach R, et al. Association of aortic valve calcification severity with the degree of aortic regurgitation after transcatheter aortic valve implantation. Int J Cardiol 2011;150:142-5. 38. Nietlispach F, Johnson M, Moss RR, Wijesinghe N, Gurvitch R, Tay EL, et al. Transcatheter closure of paravalvular defects using a purpose-specific occluder. JACC Cardiovasc Interv 2010;3:759-65. 39. Sherif MA, Abdel-Wahab M, Stocker B, Geist V, Richardt D, Tolg R, et al. Anatomic and procedural predictors of paravalvular aortic regurgitation after implantation of the Medtronic CoreValve bioprosthesis. J Am Coll Cardiol 2010;56:1623-9. 40. Zahn R, Schiele R, Kilkowski C, Zeymer U. Severe aortic regurgitation after percutaneous transcatheter aortic valve implantation: on the importance to clarify the underlying pathophysiology. Clin Res Cardiol 2010;99:193-7. 41. Aregger F, Wenaweser P, Hellige GJ, Kadner A, Carrel T, Windecker S, et al. Risk of acute kidney injury in patients with severe aortic valve stenosis undergoing transcatheter valve replacement. Nephrol Dial Transplant 2009;24:2175-9. 42. Bagur R, Webb JG, Nietlispach F, Dumont E, De Larochelliere R, Doyle D, et al. Acute kidney injury following transcatheter aortic valve implantation: predictive factors, prognostic value, and comparison with surgical aortic valve replacement. Eur Heart J 2010;31:865-74. 43. Bellomo R, Ronco C, Kellum JA, Mehta RL, Palevsky P; Acute Dialysis Quality Initiative workgroup. Acute renal failure - definition, outcome measures, animal models, fluid therapy and information technology needs: the Second International Consensus Conference of the Acute Dialysis Quality Initiative (ADQI) Group. Crit Care 2004;8:R204-12. 44. Van LA, Kempfert J, Rastan AJ, Holzhey D, Blumenstein J, Schuler G, et al. Risk of acute kidney injury after minimally invasive transapical aortic valve implantation in 270 patients. Eur J Cardiothorac Surg 2011;39:835-42; discussion 842-3. 45. Webb JG, Altwegg L, Boone RH, Cheung A, Ye J, Lichtenstein S, et al. Transcatheter aortic valve implantation: impact on clinical and valve-related outcomes. Circulation 2009;119:3009-16. 46. Ghanem A, Müller A, Nähle CP, Kocurek J, Werner N, Hammerstingl C, et al. Risk and fate of cerebral embolism after transfemoral aortic valve implantation: a prospective pilot study with diffusion-weighted magnetic resonance imaging. J Am Coll Cardiol 2010;55:1427-32. 47. Arnold M, Schulz-Heise S, Achenbach S, Ott S, Dörfler A, Ropers D, et al. Embolic cerebral insults after transapical aortic valve implantation detected by magnetic resonance imaging. JACC Cardiovasc Interv 2010;3:1126-32. GÃ¼mÃ¼ÅŸ, T. and Kesimci, E.
Naber, C.K., Prendergast, B., Thomas, M., Vahanian, A., Iung, B., Rosenhek, R., Tornos, P., (...), Wendler, O.